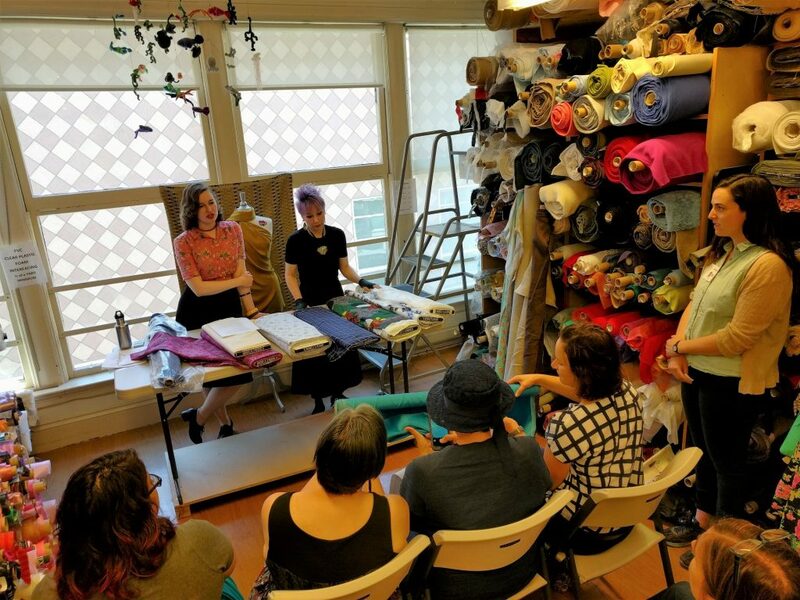 Today’s article is about the second half of the Bay Area Sewists meetup at Britex Fabrics, covering linen and blends. (Part 1 contains basic information on plant fibers and covers cotton in detail). Deena from Britex displays some of the store’s linen collection. This entry was posted in Classes, Events, Fabrics on June 22, 2016 by mportuesisf. This past Saturday morning, I joined the Bay Area Sewists for a meetup at Britex Fabrics. Two Britex employees, Natalie and Deena, gave an excellent presentation on cotton and linen fabrics, and how to work with them. This entry was posted in Classes, Events, Fabrics on June 21, 2016 by mportuesisf. My “Make it Work” moment worked! On a sunny Saturday afternoon, in a cozy Northern California country club with idyllic views everywhere you looked, my client Kevin beamed with pleasure as he married his beautiful bride. Also not coincidentally, he was the best-dressed man at the event. A gorgeous pair of golden cufflinks handed down to him from his grandfather, together with a black satin bowtie and suspenders, finished the look of his bespoke, one-of-a-kind tuxedo shirt. Both bride and groom were thrilled with the way our project turned out – the shirt added a personal touch to a formal outfit. And I was thrilled too. and finally some shirt-making tips. This entry was posted in Clients, Completed Projects, Fashion and Style, Shirts, Wovens and tagged tuxedo-shirt on April 10, 2016 by mportuesisf. 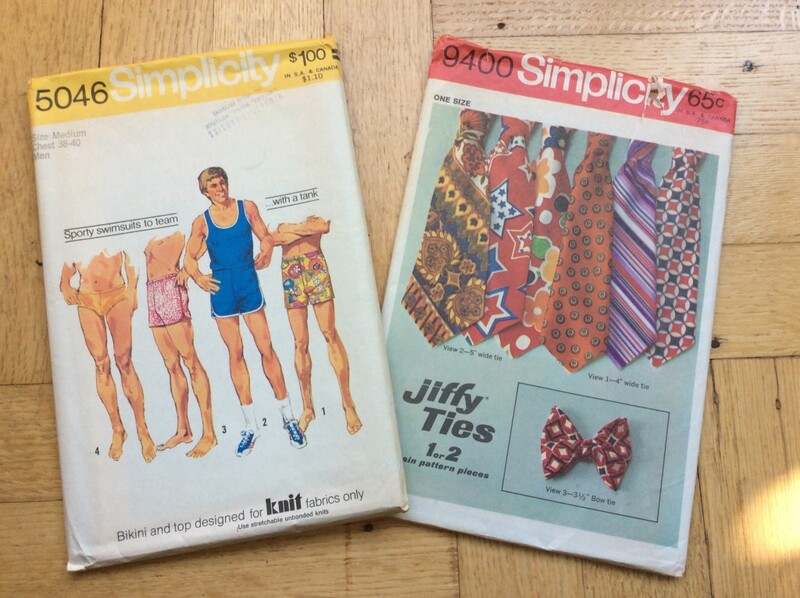 I’ve been very delinquent in contributing to the blog lately, because I’ve been pouring my attention into sewing! Part of the reason I have been so busy was Paul Gallo’s course in patternmaking and draping I took in January, plus time I spent outside the class absorbing the material. But another reason why I’ve been so busy is that I’ve been engaged in another project, with a deadline: I’m sewing for a client. So, first a confession of sorts. As I’ve been developing as a sewist, I have been toying with the idea of sewing for others. It’s part of the reason I’ve taken the long, difficult road of learning fitting and pattern alteration, rather than just tracing off a garment that already fits, or making minor alterations to a commercial pattern and hoping for the best. I’ve wanted to develop a skill set that I could apply to others as well as myself – but to what end, I’ve never been sure. I also knew I would have to approach sewing for others as a business, and not as a “for free” or “doing a favor” type thing. I’ve read too many horror stories from other sewing bloggers. People think it’s easy for you to give up your time to “whip up” a quick something that they know you’ve been sitting around, just waiting to create for them. 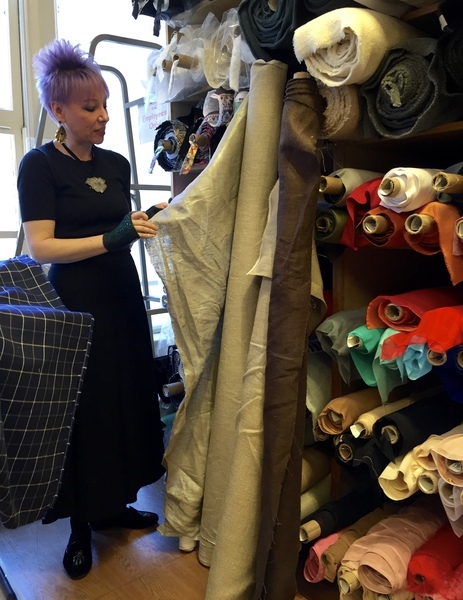 Generally, most people are completely unaware of the amount of work that goes into creating a well-made garment, and are unappreciative of the effort. I know a lot of other bloggers have an unstated rule that they will not sew for people who ask. This entry was posted in Clients, Fashion and Style, Project Planning, Shirts, Wovens and tagged tuxedo-shirt on February 21, 2016 by mportuesisf. Today being my birthday, I decided to take the day off from work to spend time on my sewing and blogging. I had to share the unexpected gift I received from my partner’s mom, Judy. She did quite a lot of sewing back in the ’70s, on her mechanical Bernina (which is still in fine working condition today and is in use by her grandchildren). 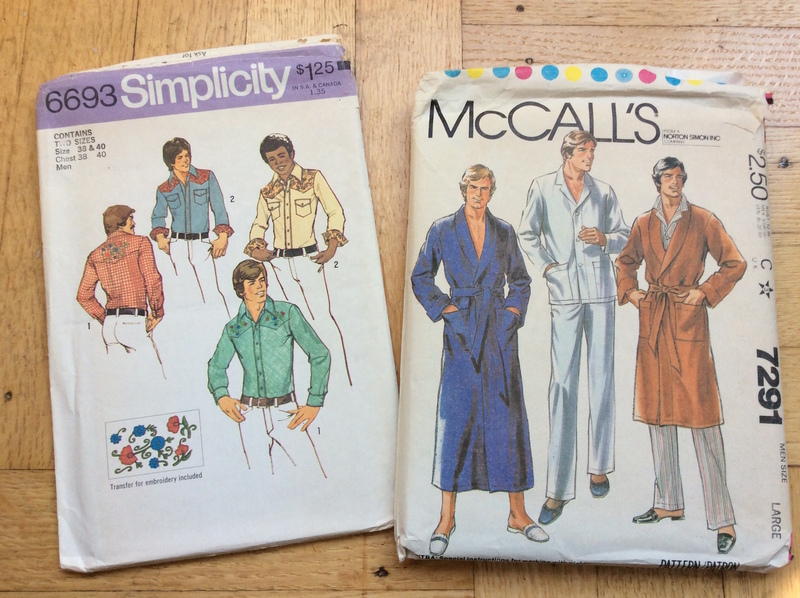 She had some vintage menswear patterns she’s no longer likely to use, so she passed them down to me as a very kind birthday gift. This entry was posted in Fabrics, Patterns, Project Planning on February 25, 2015 by mportuesisf.